Mobilicom Limited, developer of 4G Mobile MESH private network technology, has introduced its new Mobile MESH Network Solution for all Mobilicom Communications Units (MCUs). The new solution uses an innovative algorithm that turns the network into a fully synchronised system and enables underground operations without the need for a GPS. By adding a solution for underground operations, Mobilicom addresses a new market with its MCU products across various applications. 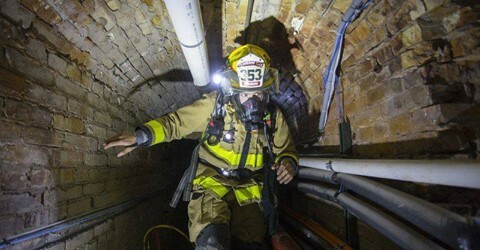 Such applications include disaster relief and public safety operations such as firefighting rescue teams working in buildings and underground, mining and resource industry teams working underground, or robotics operations working for advanced delivery warehouses. The new Mobile MESH Network Solution is added by Mobilicom following in-depth discussions with existing and potential customers, helping management to understand the thoughts and needs of the market. The Mobilicom team has started validation and field trials with select international customers who expressed a high degree of interest in the solution. The ability to work underground with the MCU products completes Mobilicom’s solution, offering a private and secure 4G Mobile MESH for all operations and applications. Unlike other solutions, Mobilicom’s varies in offering a fully synchronised system excluding the need for a GPS.